Twitter IPO Closes First Trading Session with Rise of 73%: Twitter shares have closed first session in New York Stock Exchange with an increase of 72.69 percent over the price of $ 26 per share set for its Initial Public Offering (IPO) and have been valued at 44.90 Dollars. In its market debut, the popular network of ‘micro-blogging’ came to skyrocket to 92 percent , but the euphoria was lower . The closure is a slight decrease – 0.44 percent – compared with the first price listed for action, of $45.10. During the day will have exchanged more than 117 million shares, of which 47 million were bought and sold in the first half hour, according to analysts polled by The Wall Street Journal. It so happens that the successful start of Twitter has taken place in a day of red numbers on the New York Stock Exchange , where the Dow has fallen nearly a point , the S & P up 1.3 percent and the Nasdaq January 1, 9 percent. The company of 140 characters , with the price set finally had its IPO plans to raise 1,820 million (euro 1,368 million) and valued the entire company at just over 14,000 million dollars (10.526 million euros) , and starred in the third largest IPO of a tech company , away from Wall Street debut of Facebook , and only slightly below the figures for Google . According to data provided by the company , major shareholders of Twitter would be the fund Rizvi Traverse , with 15.6 percent of the capital of a company, including a 9 percent through a JPMorgan fund, the cofounder of the network social Evan Williams, with 10.4 percent, followed by Spark Capital with 6 percent and Benchmark Capital, with 5.8 percent. 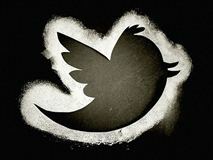 In the third quarter of 2013 , Twitter recorded net losses of $ 64.6 million (47.8 million euros), which is to triple the negative result of $ 21.6 million (16 million euros ) in the same period of 2012, according to the latest data released by the company. The popular social network of ‘ micro-blogging ‘ accumulated losses eleven quarters in a row despite double its turnover in the third quarter of 2013 , which amounted to 168.58 million dollars (125 million euros) between July and September, 104 percent. Thus, in the first nine months of the year Twitter recorded losses of $ 133.8 million ( 99 million euros), up 89.3 percent over the ‘red ‘ the same period in 2012 , although their revenue rose 106 percent to 422.2 million dollars ( 313 million euros). The number of monthly active users of the popular social network in the third quarter reached 230 million, up from 218 million at the end of the second quarter.